Need experts for staging your house to sell? Get expert advice to home staging property stylists that helps you to present your home and achieve your property dreams.Visit our website to learn more about our services and pricing. Blake Riley Homes is one of the most trusting and professional home stagers in Orange County.Sue Kim and her design team provide unique and creative interior designs to clients at affordable rates. Hire us today to stage your property, your home gains an edge on the market. Blake Riley Homes is the one-stop source for all your real estate home staging, home staging, and design needs in California.Lead Designer Sue Kim is recognized as a top expert in home staging, interior design, and renovation expert. Her keen eye for redesigning homes has earned her respect in the industry. Want to know a cost to stage a home? Blake Riley Homes is the professional home staging company. Our main motive is to offers affordable staging services to help you sell your home faster and offers. Our experts help you to sell your home quickly and for more money. Blake Riley Homes is one of the leading home interior designer and home stagers in CA. We have a team of highly skilled Interior Design and Home Staging experts. We provide affordable house staging services for realtors and homeowners.Visit our website to learn more about our services. Blake Riley Homes offers the best home staging services and pricing in County CA. Our main motive is to help you to sell your home faster and at the best price possible. Visit our site for more information and pricing. Are you looking for affordable interior designers County CA? 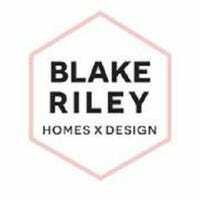 Blake Riley Homes is the best and most versatile interior designer and home staging company in Orange County.Our main motive is to provide unique and creative interior designs to our clients.Contact us today! Blake Riley Homes is the luxury real estate staging services provider. We are specializes in staging your property to increase its potential on the Real Estate market. Hire professionals today!